The thermostat is perhaps the smallest component of the entire HVAC system, but it is one of the most important pieces of equipment. The thermostat controls the temperature of the commercial space, and it provides the rest of the system with the direction it needs in order to operate at its maximum efficiency. At Victory Heating and Air, we recommend that our commercial clients evaluate their current thermostat and understand the important role that it plays in the entire heating and cooling system. As the leading provider of commercial heating and cooling services in the High Desert region, we offer our clients thermostat repair and replacement services, and we also recommend upgrading outdated thermostats to the latest technology. In some cases, a customer may think that their air conditioner is not working because they cannot get the system to turn on. However, it may be the thermostat that is damaged or broken. If you are experiencing problems with your commercial heating and cooling system, then we will send out a qualified HVAC technician in order to evaluate the situation and provide you with a diagnosis. In some cases, the repair is as simple as replacing the thermostat. 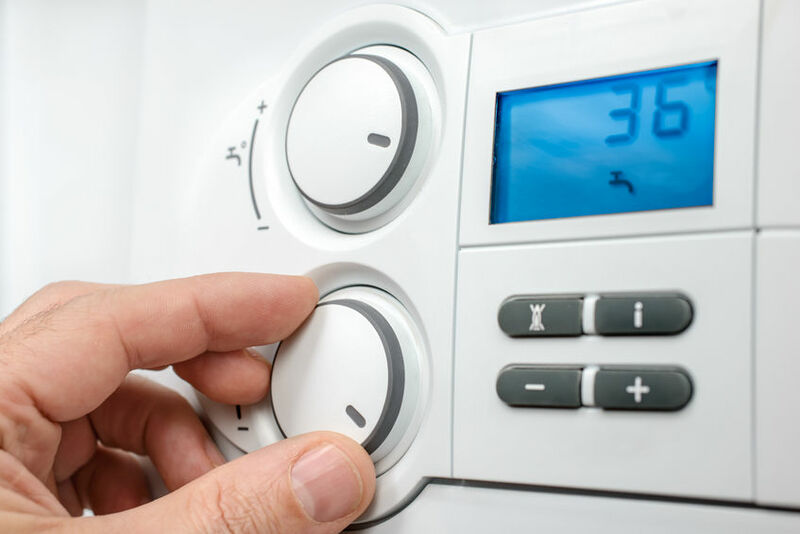 The thermostat connects the air conditioning, heating and ventilation system, and outdated thermostats can render a new HVAC system inefficient. At Victory Heating and Air, we believe that a new thermostat is a small investment in the overall lifespan of the heating and cooling system. For example, a programmable thermostat allows a commercial property manager to control the temperature in certain areas of the commercial building, as well as set timers for the temperature settings. Many commercial spaces are only in use during business hours, and a programmable thermostat allows property managers to keep the temperature comfortable for the occupants during the day but adjust it while the building is empty. This improves the efficiency of the system and lowers the cost of heating and cooling the commercial space. ​We offer several different thermostat models at Victory Heating and Air, and we can help you choose the thermostat that is right for your commercial property. Whether you feel you are in need of a thermostat repair, or you would simply like to upgrade to the latest technology, we can provide you with the service you need. Contact us today for more information about thermostats and the role they play in your HVAC system.